Need to mark hazards or convey important information? 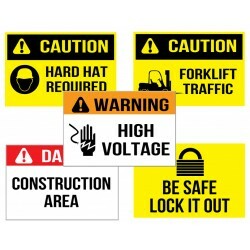 We offer Danger, Warning, Caution, and Notice labels with a variety of text and symbols to meet your facility's needs. 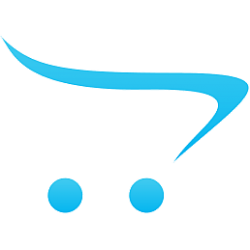 We have plenty of other label formats, too. These products are smaller than our wall and floor signs, but are still adhesive-backed and resist chemicals, water, fading, and abrasion. The text is printed with a high, 300 dpi resolution using thermal transfer technology for increased colorfastness. If you have trouble locating what you're looking for, give us a call, tell us what you need, and we'll design it for you. We do it all free of charge! Increase awareness of potential tripping, falling, or slipping hazards. Great for unexpected steps..
Construction areas inherently have many hazards. These labels are an effective way to notify visit..
Help prevent trespassing in an area, protecting your property and keeping peop..